The Warhammer game-pocalypse continues as they flood onto our hard drives at ever-increasing rates. Mordheim: City of the Damned is one of the more refined ones, having launched into Early Access the best part of a year ago and now planning to make the leap to full release come November. The latest trailer shows off everything the tactical RPG has to offer in a scant two minutes and makes it look bloody fun. 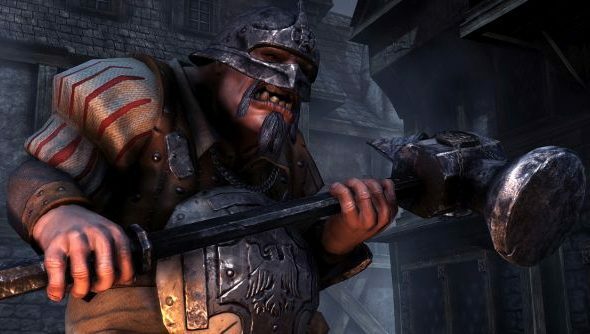 Mordheim could very well end up on our best RPGs list. The best thing about this trailer is, of course, that it’s from Focus Home Interactive and therefore has Focus Home Interactive Man commentating it. He has the best trailer voice in the business and I won’t hear a word against his calm, informative tones. I think I love you, Focus Home Interactive Man. Moving on: the game’s been doing very well on Early Access, with good reactions from the community and very regular updates. One was released just yesterday that reworked the difficulty system to be harder and provide more rewards. Developers Rogue Factor seem able to get these updates out there once a week, an impressive rate for a small studio. It’s also looking like one of the more promising of Games Workshop’s current scatter-shot tactic. Release date is still uncertain, but is confirmed for “during the first weeks of November.” Anyone been playing the early versions?